with Two cores and outside QPI disabled. Intel Ivy Bride-E Core i7-4960X will have no feature of the Die disabled. Intel Ivy Bride-E Core i7-4820K will have two out of six cores Disabled and 10 MB of L3 Cache. What it would mean not to have a crippled die in the Intel Ivy Bridge-E Core i7 Series. 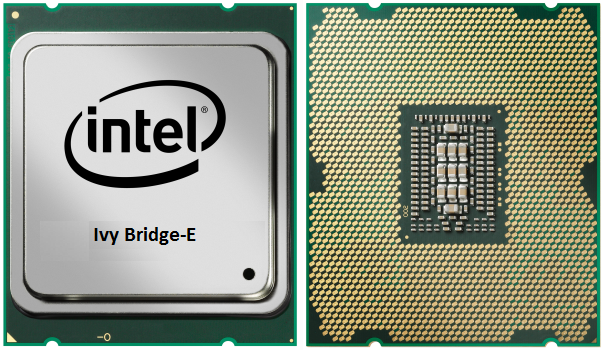 A non-crippled die in the Intel ivy Bridge-E Core i7 Series would mean drastically improved OC Potential and a certified PCI-E 3 root complex with a huge graphics portion. Also any leakage problems in the 22 nm FinFET process would have been solved by now. Coprocessors will be available on the Intel Ivy Bridge-E Core i7 Series.